Alpha and Omega fuego and Ice. I think this picture is already around the club somewhere...but I loved it!. HD Wallpaper and background images in the alpha y omega club tagged: kate alpha humphrey omega wolf and garth wolves. 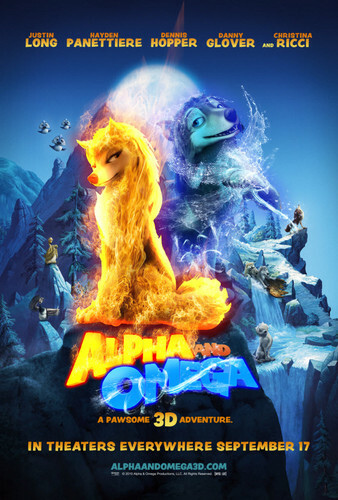 This alpha y omega photo contains animado, cómic, manga, historieta, anime, and dibujos animados. There might also be fuego, llamas, infierno, signo, cartel, texto, pizarra, and letrero.